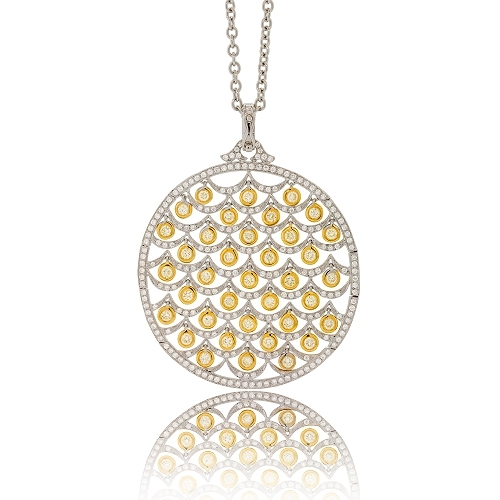 Circle pendant with waves of white diamonds and dangling yellow diamonds bezel set in 18k two-tone gold. Diamonds approx. 3.51ct. Pendant 2.25"